At Vespa Montréal, we offer a professional and efficient service thanks to a team of specialized technicians, passionate about two-wheel vehicles. Entrust your scooter or motorcycle for routine maintenance such as seasonal check-up or oil drain but also for more important repairs like a change of part. Contact us to make an appointment right now with our team of experts. At Vespa Montréal, we have at heart to give you the best service. Want some change? 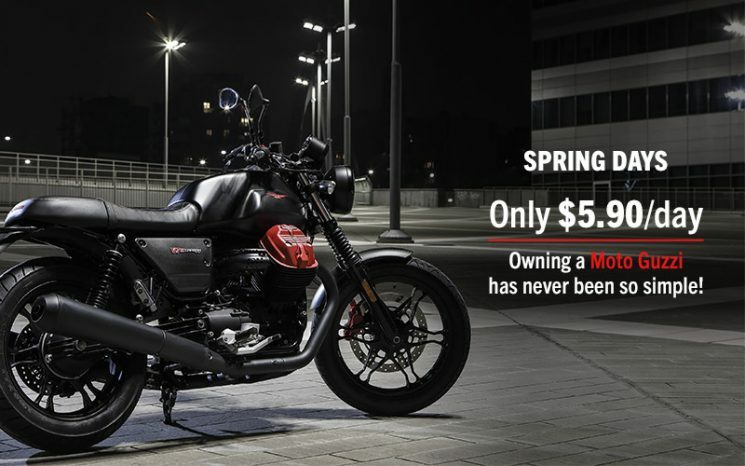 What if you fall for one of the latest Vespa or Moto Guzzi models? We have an inventory of scooters for all tastes and budgets. Need a new helmet? We have quality brands to guarantee you style and safety. Take a look at the Davida helmets, high-end helmets with a retro look made in England.